In 2013, English Heritage (now Historic England) awarded Wessex Archaeology the Heritage at Risk – Designated Wrecks at Risk contract. The contract continued on the work previously undertaken under the Protection of Wrecks contract (2003−2013), within English waters. With this project, Wessex Archaeology supported English Heritage’s role in relation to marine designation, and worked on both designated and undesignated marine sites. The project ran from January 2013 to the end of March 2015. English Heritage selected a wide range of sites for investigation. Protected Wreck sites were selected for assessment of site stability and to determine if additional material had been exposed recently. Undesignated sites were identified through various sources, including the early ships and boats strategic designation programme, which developed from the Early Boats and Ships (prehistory to 1840) desk based assessment. In addition, work contributed to the First World War submarine project, as part of the commemorations associated with the First World War. Wessex Archaeology’s investigations included diver survey, geophysical survey, and sometimes a combination of the two, depending on the site objectives. Tracked diver surveys, using both Surface Supplied Diving Equipment (SSDE) and SCUBA, provided detailed results for wreck sites, including still and video photography, photomosaics, measurements of archaeological features, with positions derived from the Sonardyne Scout USBL acoustic positioning system. Geophysical surveys included high resolution side scan sonar, magnetometer and multibeam swath bathymetry surveys, and allowed for data gathered for this project to be compared with previous datasets, in order to assess changes to the sites. On the wreck site of the First World War German submarine UB109, geophysical survey resulted in the acquisition of sidescan sonar, magnetometer and multibeam swath bathymetry data, which was used to inform the diver survey. 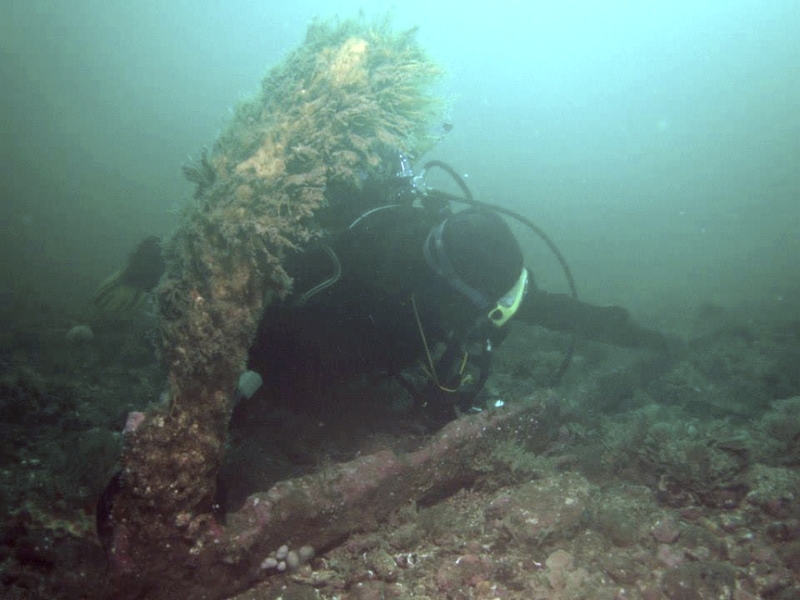 The diver survey provided a detailed assessment of the condition of the wreck, supported by still and HD video recording. UB109 also provided an opportunity to work closely with dive club BSAC 326 Canterbury divers, who have adopted the wreck under the Nautical Archaeology Society Adopt a Wreck scheme.